I have been a proud team member of Advanced Orthodontic Specialists since March of 2011. What I love most about my position is working with our wonderful family of patients and a staff that is passionate about providing the highest quality of care. In January of 2014, my husband and I were blessed with our first child Madelyn. I enjoy spending my free time with my family and friends, swimming in Nana’s pool, and sitting outside next to the fire. If you have any questions about the practice, please do not hesitate to contact me at sshaughnessy@smilesbyaos.com. I have worked for Dr. Bicknell since the summer of 2010. I can honestly say I look forward to coming to work every day. I have two kids, both of whom have Dr. Bicknell to thank for their beautiful smiles. My son currently attends St. Charles North High School and my daughter is at Marquette University where she is studying biomedical engineering. In my free time, you will find me in the kitchen because cooking is my true passion. During the summer months, I enjoy gardening and swimming. Feel free to contact me at sshaughnessy@smilesbyaos.com if you have any questions regarding financials or insurance. I joined the practice fall of 2015. It has been a rewarding experience ever since. It’s great to be a part of a practice that is so family orientated. AOS has given me the opportunity to meet so many wonderful families and be part of their orthodontic experience. I also started my very own orthodontic treatment! I love that I can relate to our patient; I’m so excited to see my end result! I joined the practice in May of 2015 during the 10 Year Anniversary of Advanced Orthodontic Specialists! What I enjoy most about my position is greeting our patients at the front desk and helping them schedule convenient appointments. I absolutely love coming to work every day and seeing everyone’s smile. In my free time, I love going to Chicago White Sox games with my friends and family on a nice, hot summer day. On the weekends I enjoy visiting my family, seeing movies at the local theater and cooking. Spending time with my husband and our 3 Siamese cats is what I love the most. I became a member of this amazing team in April of 2016 and could nt be happier that I found a job that I love. Working for this office has shown me how much of an impact orthodontics has on our patients. Helping them achieve the smile they’ve always wanted, as well as gaining a new sense of self confidence makes me happy. A smile can make a world of a difference! I began working for Dr. Bicknell in late 2012 upon the completion of my Dental Assistant Certificate issued by the College of DuPage. What I love most about my position as a Clinical Coordinator is working with patients of all ages. I enjoy knowing that what I do has a direct impact on the patient’s experience and end result. I joined the AOS team in October 2012 while I was completing my Dental Assisting Certification at the College of DuPage. I became certified as a Specialized Orthodontic Assistant by the American Association of Orthodontics in September 2015. I’m grateful for the opportunity to make a difference in our patient’s lives. I reside in Ukrainian Village. I keep myself busy snowboarding in the winter and soaking up the sun in the summer camping. Family, friends and music are my passions in life. Any day I get to spend my free time indulging in one of them is a good day indeed! My significant other was a patient of Advanced Orthodontic Specialists before I joined the team. I accompanied him to one of his appointments and knew right away that I wanted to be a part of this wonderful practice! I completed my Dental Assistant Certification at Everest College and have been part of the AOS team since 2012. What I enjoy most about my position is educating our patients on their orthodontic treatment and answering their questions. Before joining AOS I worked at a general dentist office for over a year until I became interested in Orthodontics. I have been a part of the AOS team since May 2016 and I have enjoyed coming to work ever since then. My goal is to have my patients feeling comfortable and satisfied at the end of their appointment. I love being a part of such a passionate and dedicated team along with working and educating our great patients. I have worked for Advanced Orthodontic Specialists since 2007. The thing I love most about my position is being involved with the community. Being able to distribute donations to various local organizations and school events brings a smile to my face. We have such a wonderful family of patients and I enjoy being a part of it. 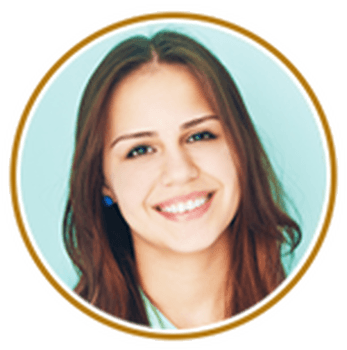 I have been with Advanced Orthodontic Specialists since 2005 and began my career here as an Orthodontic Assistant. I graduated from DePaul University with a Bachelors in Public Relations and Advertising and have since earned my MBA from Elmhurst College. What I enjoy most about the practice is the individualized attention that is provided to each patient and the energy that Dr. Bicknell’s passion brings to our team. We strive to create a warm and inviting environment that provides comfort to our wonderful family of patients.